See how stress is affecting your health. Bio-communication hand cradle testing shows you in just a few minutes which foods stress you, which organs and systems are tired or stressed, and which hormones, neurotransmitters, chemicals, pesticides, parasites, bacteria, or viruses are affecting your energy. Then you can see which homeopathic and nutritional remedies work best for you. Know your reactions so you can make better daily choices! Mention this RED Highlighted "Coupon" line to get $15 off your next testing visit! ONDAMED is an in-office sound frequency therapy that helps resolve acute and chronic conditions, from emotional and neurologic conditions to acute sports injuries and everything in between. ONDAMED helps locate energy imbalances and restore energy balance with very precise electromagnetic impulses. · Stronger Bones – osteoporosis or osteopenia? · Nerve and Tissue Regeneration - neuropathy, or bone-on-bone pain? · Acute and Chronic Pain Relief – fibromyalgia or osteoarthritis symptoms? · Better Sleep – mental overactivity causing sleeplessness? · Improved Energy Metabolism – chronic fatigue? · Relaxation and Stress Reduction – anxiety symptoms? · Sugar Addiction Reduction – can’t stop craving sugar? In just 2 45-minute sessions - get rid of your sugar addiction! Call me at 269-429-9554 to get special package prices on 5 ONDAMED sessions. For acute reactions I have seen immediate results. For sugar addiction reduction we recommend 2 consecutive daily sessions. For chronic issues such as Fibromyalgia or neuropathy most people find lasting results after 4 to 5 weekly sessions. Brain Gauge - How is your mental fitness? The Brain Gauge is a cognitive assessment tool that measures brain health by testing sensory perceptions in your fingertips. It looks like a computer mouse. But it’s actually so much more. How does Brain Gauge work? During each test, two tips will ‘buzz’ your fingers in a specific way. The software will ask questions about what you felt, and then analyze your responses using clinically-proven neuroscience. In less than 15 minutes you can complete a comprehensive brain health assessment and gain valuable insight into your mental fitness. This in-office brain health test measures your speed, focus, neuroplasticity (ability to remember long term), accuracy, decision making ability, time perception, and brain fatigue. This test also used for traumatic brain injuries and concussion to evaluate the level of healing after an injury. Over 2000 subjects have been tested and solid results show what true brain health should be. Trying a new brain health supplement? This will show you if it is working for you! A reliable way to measure your brain health. Tennant Biomodulator - Microcurrent Therapy that Works! Are you in constant pain, low back, neck, hips, legs, feet, arms or hands? Do you suffer from headaches, insomnia or digestive issues? ​Would you like to reduce your pain quickly? Effective therapy for pain management and improved health! Chronic pain comes on when we don’t have the internal energy we need to heal. This energy comes from creating voltage in our cells. 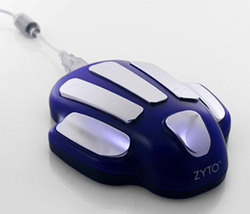 Using the biomodulator microcurrent device we can direct the voltage to the area of your body that needs it now. With thermography you can know what is going on in your body, why you have certain symptoms, and where pain is originating, You will see in real time what is happening in any area of your body that is uncovered. Requiring no radiation or touching of the skin, infrared cameras take real-time pictures. Low circulation shows as cooler temperatures, and inflammation or excess circulation shows as warmer. Thermography was approved by the FDA in 1982 (the same year as mammography) to show abnormalities in breast tissue, peripheral vascular disease, musculoskeletal disorders, extra-cranial cerebral vascular disease, abnormalities of the thyroid, and various inflammatory conditions. We take pictures of your face, sides of head, neck / thyroid, back, chest (breasts). By measuring differences in temperatures in each picture we locate normal and abnormal functions of the body. If there is pain we can take pictures of the arms and legs to identify areas of current inflammation. Larger differences in temperature indicate more functional imbalances. Your pictures will be saved, evaluated for specific temperature points, and then emailed to you. Thermography is not a diagnostic test. While I cannot tell you why the temperature is higher or lower in any area just from the pictures, you will see areas with circulation and inflammation issues. When you make changes to your health to increase or decrease circulation, your thermography results will show your improvement. After homeopathic or nutritional supplements you can be retested to see improvements. After energy therapy, massage, or chiropractic, you will see changes in the temperatures immediately.